This is the ottoman with everything - it's beautiful, practical, and easy to move around. Inspired by the Chesterfield sofa, masterful tufting adorns this upholstered ottoman giving it a luxurious look. The Stephanie Collection comes upholstered with your choice of Brosa Signature or Warwick Mystere fabric. Brosa Signature has a trendy linen look and feel, while Mystere is an irresistibly soft velvet that is hard wearing and easy to clean. Stephanie is more than just a pretty face - under the lid you'll discover that there's more than enough space for living room essentials. It's a fantastic use of space and looks great as well. This is an ottoman that is going places! 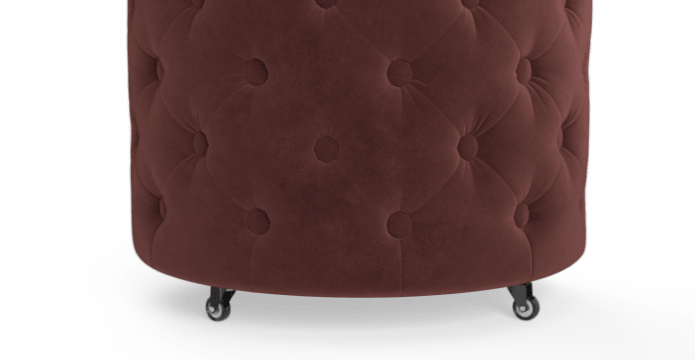 Sturdy caster wheels ensure that your Stephanie Ottoman will make it from point A to point B with ease. Can this product be used as a coffee table? Everything about my order was great. Easy to order, fast and accurate delivery, secure packaging, excellent price and, best of all, the ottoman is perfect! Thank you so much. 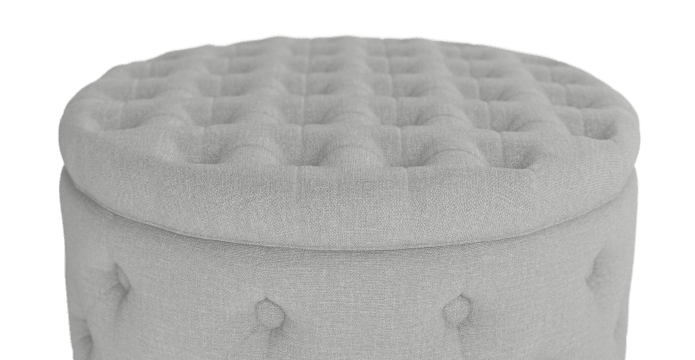 See, touch and feel our fabrics used on our Stephanie Small Storage Ottoman. For Free! Simply select up to 3 fabrics and add them to your cart. Delivery is on us. Good news! 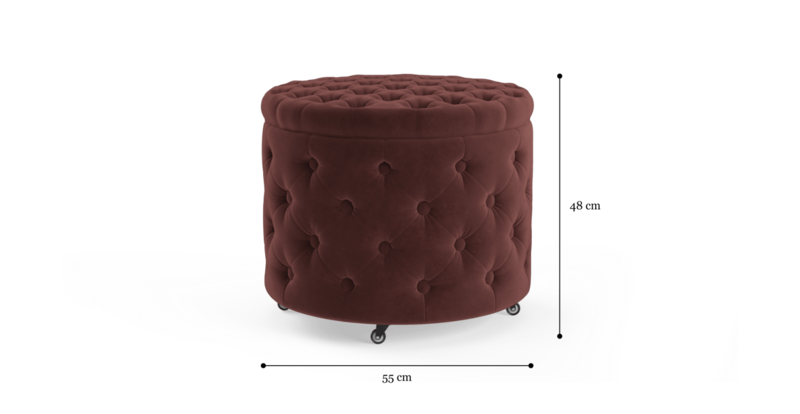 Stephanie Small Storage Ottoman is currently on display in our Alexandria Collingwood studio.